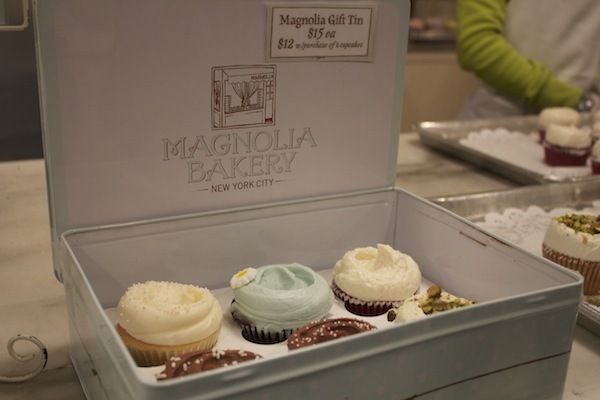 Anthony was the one who said we should visit the Magnolia Bakery in Rockefeller Center, NYC. I unfortunately did not even know about it. Some baker/sugar lover I am! We went on a Sunday night and it was pretty empty inside. The employees said this wasn't the norm. And having eaten their delicious cupcakes and cheesecake, I know why. They bake amazing treats. There were many reasons I liked this bakery. First of all, the employees were incredibly helpful and nice. 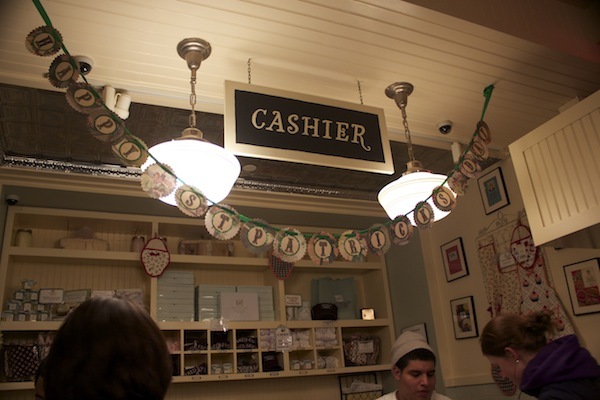 Second, the employee who greeted us told us to go to the counter and ask for a sample of their Famous Banana Cream Pie. Seriously, HEAVEN! Third, there were at least 3 banners/pennants/garlands hanging as decorations. And you know how much I love pennants! Fourth, their speciality is dessert. Dessert is the main reason I watch what I eat and am mindful of my eating choices. That way I can enjoy dessert without gaining weight.